The morning of January 1, 2019 I wondered how many women woke up with the idea that this would be their year. Their year to lose the extra pounds they’ve beat themselves up over since they had children or maybe their entire lives. Then I began to think how many New Years I had made that exact commitment to myself and failed. How could I have possibly failed, it was January 1st of a NEW YEAR, isn’t that the key to success? Nope! Turns out it’s just another day, not a magic diet pill or the key to success. Hence, I said I’d be cutting down on coffee and here I sit on the 8th with a Venti. I’m a 32 year old mom of two kids and 1 stepson. My two youngest children are 12 months apart almost to the day. They are now 3 and 4. 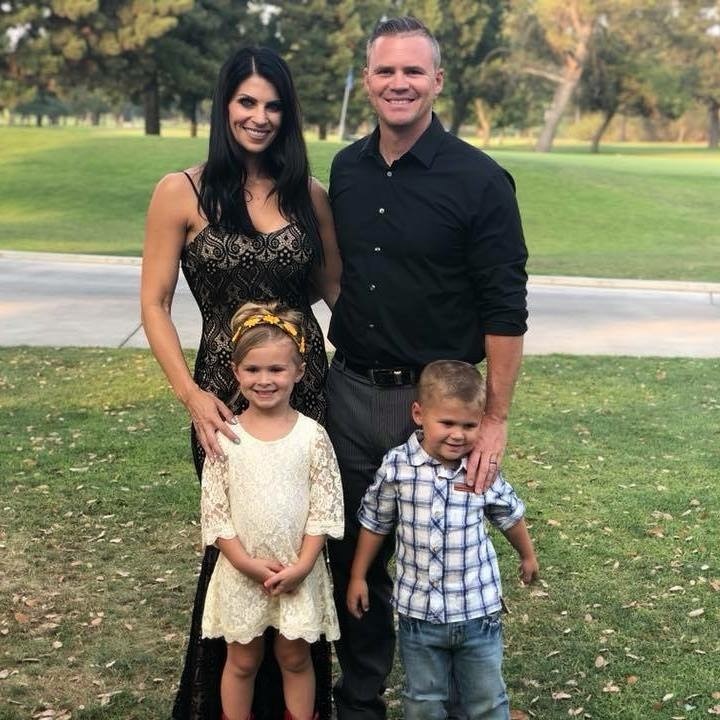 Two children that have blessed me with SO much love, SO many kisses, and two children that ultimately were my excuse to gain 60 lbs per pregnancy. Make no mistake, I had been overweight my entire life, from grade school on. My pregnancies just added on to an already unhealthy situation. 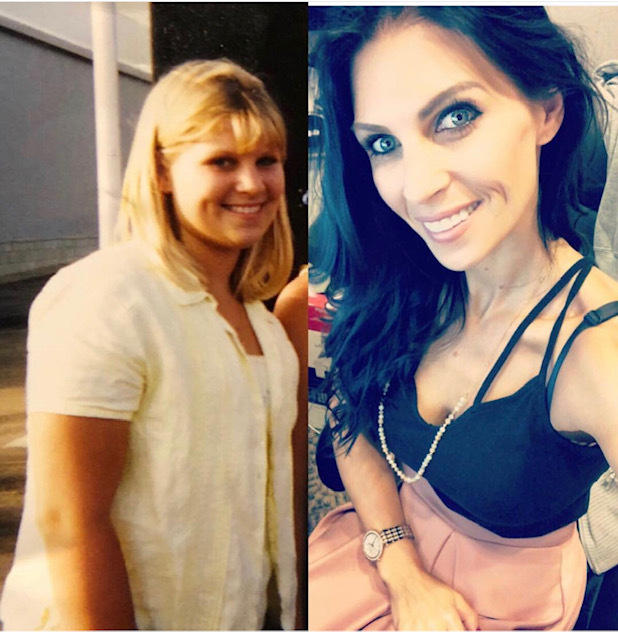 Fast forward to being 29, at the time I was listening to a doctor tell me if I wanted to be a healthy mom to my three children I needed to lower my BMI because I was medically obese. I know there are a lot of words in the English dictionary that might make you cringe but “obese” is my cringe word. Not only did he say it, but he wrote it in my medical file, which was worse than what I imagine a mug shot feels like. When I left the doctor that day I was just pissed – not at me, at him! How could he have the audacity to call me obese, did he not know what that did to a woman’s ego? What a jerk! I’d like to see him have two babies and then get on a scale! After all, it was totally his fault I had neglected my health for my entire life…right? After a few days of blaming my doctor and calling him lots of unkind names I had an honest moment with myself and I replayed what he said. If I wanted to be healthy for my children I needed to lose weight. So in that moment I told myself I would! How hard could it be? I’d only been trying for 15 years. So I committed to trying, (again) and my approach – I stopped eating. I believe I was eating around 500-800 calories a day, while raising a one year old and nursing a newborn. You can imagine my energy levels, my moods and my poor husband who tolerated it all. I think I had managed to lose 10 lbs of the 100 I had to go before having a “screw it” moment and going off track for another month. Gaining back not 10, but 12 pounds. I remember a few weeks later I was getting ready for a date with my husband and put on a new outfit and just cried. I got to the point I hated looking at myself and was embarrassed to be around people. I felt I had let myself go and because of that I’d be viewed as a bad wife and mother. I was also embarrassed to talk to anyone about my struggle, so internally I was very depressed. I was on the couch one night feeling sorry for myself and a Beachbody commercial came on. You know the ones where the girls are jumping around and nothing is jiggling and it just kind of pisses you off? Yeah, that commercial. So that night I asked my husband to buy me a Beachbody video. No, I do not sell the product, but I knew that I had no chance of actually making it to the gym. We had tried that and by the time everyone was dressed, in the car and checked into daycare I’d get a page to come clean a diaper. It would be at that point I needed a glass of wine more than an elliptical. Being the supportive husband that wouldn’t dare murmur a word about my weight, he ordered it. Imagine his surprise when it arrived and I actually started doing it and stayed committed to a 21 day program. It was HARD, like some days I would have rather been getting a PAP hard, but I kept at it. Ladies, when they tell you this is a mental game, IT IS A MENTAL GAME. Your body can absolutely do just about anything, it’s your mind that gives up on you. This is where major self-talk came into play, which I still do. I’d be dying, wanting to hit pause and lay on the floor as lifeless as I felt but instead I’d tell myself I was a fierce lion who gave birth to two children after carrying them for 9 months. If I could do that, I could do one more damn push up. After the exercise became routine, I began to dial in nutrition. This is when I learned the exercise part was easy! Exercising was an hour of my day, eating healthy was 24/7! Who the heck wants to do that? This girl didn’t…it required effort, a lot of it. So reluctantly I began to research, and research and research some more. I went through trial and error for at least 6 months trying to find an eating program that worked for me. If there’s a diet out there I tried it. No carbs, juice cleanse, vegan, diet pills, lean cuisines for every meal, the “banana” diet, the list goes on and on. One day when venting to my husband about my failures he looked at me and said, “What about just eating healthy?” I swear to you I wanted to kick him in the shins, because this man has a metabolism that never sleeps, so how dare he tell ME how to eat. Then without him ever knowing, I began to contemplate the idea. Then I began simply eating clean, no deprivation, no calorie counting, no macros (I still don’t even know what that is) just good old fashioned clean eating! And IT WORKED, IT ACTUALLY WORKED! So here I am, 2 years later. A woman that walked out of a doctor’s office in complete defeat weighing 230 lbs not believing I’d ever be a “normal” weight again. Some days not even caring if I did, that’s how defeated I felt. The memories of summers I stayed in my home I can’t get back and while I wish I had started my journey sooner, I can say I finally found me again and type this weighing 135 lbs. When people ask “How in the world did you lose all that weight?” and I reply “diet and clean eating,” you should see the looks I get, followed by “really? !” YES, really!! It works! You don’t need to spend thousands of dollars, you don’t need pills, you don’t need a fancy gym membership. All 100 of those pounds were lost in my garage. All you need is the right mindset, and that is 100% free. All you need is to commit to yourself that while, yes, there will be days that even with some success you want to throw in the towel and go grab a cheeseburger, you truly don’t want to. That’s weakness, which is a normal human emotion. Facing weight loss you’ll encounter frustration and the feeling of weakness A LOT, it’s normal, it’s temporary and you are a badass that can absolutely do this! We are all capable of so much more than we choose to believe. If you are like me and the mountain seems overwhelming, break the mountain down into speed bumps, regardless of how hard the climb is, it’s the same distance. Take it at your own pace, just don’t give up. And in your true moments of weakness remember this, you are a mom, a great mom and I promise you there is nothing harder on this green earth than motherhood. I currently work out 30 minutes – 1 hour, 5-6 times a week. I eat 1200-1400 calories a day, and I do intermediate fasting because this is what I have found worked for me. I don’t deprive myself food, I just eat within a certain time frame. I have maintained my weight loss for over a year this way. Loved this story! What a great example for your kids and for other moms out there who are struggling. Congratulations Stacey!